The Commissioner of Metro Rail Safety has granted the mandatory approval for commencement of operations on the Dilshad Garden - New Bus Adda section. Sources said the new corridor is likely to be inaugurated soon. The Commissioner of Metro Rail Safety has granted the mandatory approval for commencement of operations on the Dilshad Garden - New Bus Adda section. 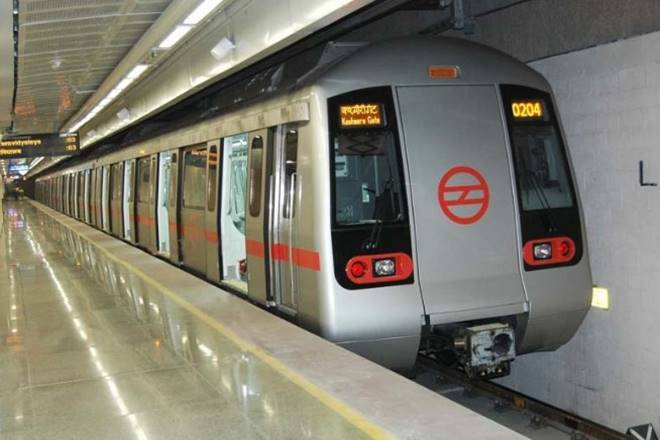 New Delhi, Metro Rail News: The Commissioner of Metro Rail Safety has granted the mandatory approval for commencement of operations on the Dilshad Garden – New Bus Adda section. Sources said the new corridor is likely to be inaugurated soon. This entirely elevated 9.41 kms long section comprises of 08 stations namely; Shahid Nagar, Raj Bagh, Rajendra Nagar, Shyam Park, Mohan Nagar, Arthala, Hindon River Station and New Bus Adda. This section will be an extension of the Rithala – Dilshad Garden Red Line. “Commissioner for Metro Rail Safety S K Pathak inspected the Dilshad Garden-New Bus Adda section of metro on February 5 and has granted the approval,” a senior official said. This section will immensely benefit the people of Ghaziabad and connect the satellite city with the national capital. Passenger services on the section will be started soon after meeting all necessary compliances and formalities, he said. This section will be an extension of the 25.09-km Rithala-Dilshad Garden corridor or Red Line, which has 21 stations. After the opening of this section, the Delhi Metro network will span 336.5 km with 244 metro stations. The Delhi Metro’s current operational span is 327 km with 236 stations.